It’s an extra layer of protection for website visitors that leave sensitive data behind such as credit card details or personal information. Through HTTPS, the connection between the website and the user is encrypted. Google always strives to establish a well-secured connection for its users while also provide the best user experience. 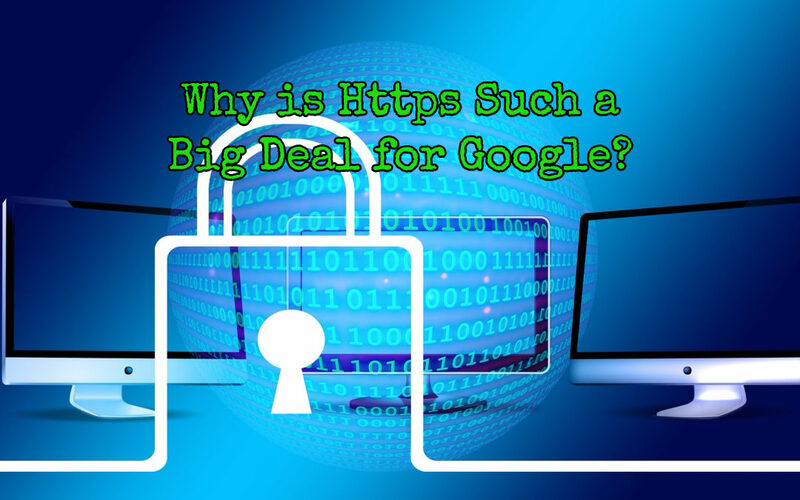 Therefore, Google has been lobbying intensively towards site owners to convert to HTTPS. In case you own an HTTP website, it’s most likely rewarding to convert to an HTTPS connection. However, be careful when you decide to make the transition because there will be quite a few technical walls to climb. Conduct proper research before doing so, or even better, have a professional web-developer do it for you. It’s better to be safe than sorry! In this article, I’ll discuss a number of key SEO benefits that are tied to converting to an HTTPS protocol. The HTTPS protocol establishes a secure connection between the site server and the DNS of the visitor. Additionally, HTTPS data is meaningless without the encryption key. Thus, if the website falls victim to a data breach, your personal data or payment details will be safe. If there is no HTTPS protocol in place, all your private data is visible in text-format. So, if someone is about to make a conversion on your website and reads that message, chances are they leave immediately. When you have a website with a lot of positive reviews from happy customers, it’s highly likely for new visitors to convert quicker based on the level of trust they have for your website. This works in a similar fashion for websites with an HTTPS connection. Users easily identify whether their personal information is stored on your website. This leads to more users on your site, spending more time on your site, and increased user experience. Indirectly, this leads to a higher ranking in Google search results. There have been multiple surveys and test-cases that looked into the connection between higher conversions and a secure environment. The results revealed that websites with a secure browsing experience often generate way better conversions. In general, it’s human to be more likely to buy something when you feel safe, and of course, leave as soon as you can when u not feel safe. Through multiple conferences and podcasts, Google representatives have mentioned the benefits of adopting HTTPS on a website. Also, Google Webmasters blog has stated that HTTPS websites have an advantage over HTTP and admitting it’s a ranking signal. “We hope to see more websites using HTTPS in the future. Let’s all make the web more secure!”, according to Google Webmaster Blog. Google states that the HTTPS protocol still affects fewer than 1% of global queries, but the signal could carry more weight in the future. The latest browser versions support the newest HTTPS/2 connection, which has clearly improved the loading speed of websites in comparison to an HTTP connection. Simply put, a website with an HTTPS/2 connection offers a better user-experience for visitors since the website loads faster. Faster loading speed increases your dwell-time (Time spent on a page), which is an important ranking factor, plus providing an even better-encrypted environment compared to the previous HTTPS version. A survey conducted by Akamai and Gomez confirms that. Their research results stated that almost 50% of the website visitors abandon a site that doesn’t load in less than 3 seconds. Aside from Google’s encouragement to convert to HTTPS, Google also wants website owners to convert to mobile-friendly pages. Also known as AMP (Accelerated Mobile Pages). And you can’t convert to AMP pages without the HTTPS protocol enabled on your site. Google has mentioned on several occasions that it aims to place AMP pages above regular pages when users search on a mobile device. This could have a huge impact on the rankings of some of your site’s pages for mobile users, especially if your competition does not convert to AMP pages. Adopting the HTTPS protocol on your website doesn’t only make Google happy, but your visitors as well. It’s an essential layer of extra protection between your site’s server and the visitors DNS. Next, to the SEO benefits, data privacy protection of your website’s visitors is also your responsibility. You don’t want to be sued for data loss because you didn’t have a secure website. At the end of the day, online security and privacy policies are more important than ever before. Thus, making the switch to HTTPS will only benefit your SEO efforts in the future.